A popular visa that offers a path to U.S. citizenship is temporarily closed to Chinese and Indian nationals. The pause in the visa program, which took effect August 1, is yet another crack in the outdated immigration system and evidence that there's need for more transparency, according to immigration lawyers. At issue is the EB-1 visa. 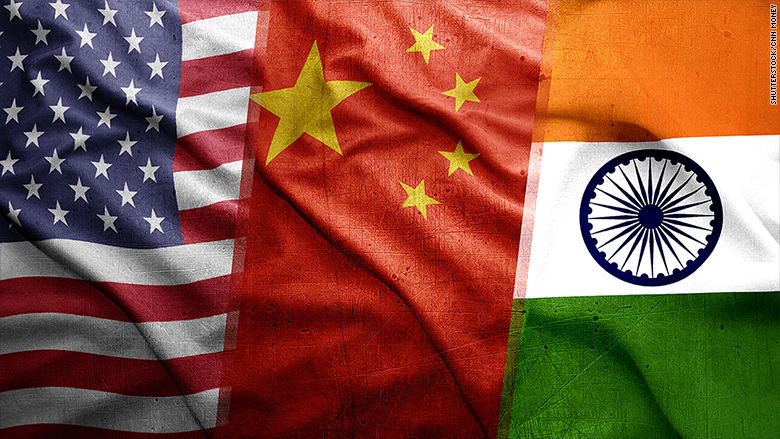 In July, the State Department announced that it would stop processing EB-1 applications from China and India until October. The EB-1 visa is available to three categories of candidates, those with extraordinary abilities in arts, science and business; researchers and professors; and multinational business executives and managers. Eb-1 visas are limited to 40,135 for this fiscal year, and no more than 7% can go to immigrants from any one country. China and India, whose workers are in high demand, have hit their limit. The last time this happened was in 2007. The limit resets when the government's fiscal year begins on October 1. But lawyers say they fear applicants from China and India will hit the ceiling again and that will hurt the U.S.
"This is how we welcome extraordinary and outstanding artists, scientists and businesses -- and it's pretty pathetic," said immigration lawyer David Leopold. The EB-1 typically results in a green card in less than a year -- one of the quickest pathways to receive one. And unlike many visas, some kinds of EB-1 visas don't require applicants to be sponsored by employers. "A lot of people saw [the EB-1] as the light at the end of the tunnel," said Shah Peerally, who heads up an immigration law firm in Newark, California. It certainly was for 37-year-old Rishi Misra. Misra, who works in health care tech and lives in San Francisco, came to the United States as a student from India in 1997. He had an H-1B at one point. In 2010, an employer filed for an EB-2 for Misra so he could get on a path to a green card. But after years of waiting due to the backlog for Indian citizens, Misra went another route: He applied for an EB-1 for "extraordinary ability." It was granted earlier this year. Tahmina Watson, who heads Watson Immigration Law, said Misra is not alone in seeking out the EB-1 after growing frustrated with other paths to citizenship, like the H-1B visa. The H-1B is one of the most popular visas for highly-skilled foreigners. Demand far exceeds the annual allotment. The H-1B requires workers to be sponsored by an employer and leaves applicants at the whim of lotteries. Immigration lawyers speculate that anxiety about the political environment is also driving the heavy demand for EB-1 visas. "People feel vulnerable. Immigration is, unfortunately, more political now than its ever been," said Michael Wildes, managing partner at Wildes & Weinberg. One foreign entrepreneur told CNNMoney that others like her in the U.S. are applying for EB-1 visas as soon as possible. "We are contributing to the development of the country," she said. "But at the same time we need to be in a safe position of developing our own life too."